You can taste the O’de Flander genevas at the O’de Flander ambassadors. 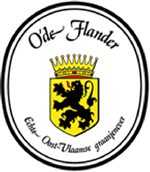 The ambassadors are establishments in the catering industry and drink distributors who have at least two O‘de Flander genevas on the menu. They receive a plaque for O‘de Flander ambassador, to put op on the facade of their establishlment. Do you want to become an O’de Flander ambassador? For more information, please contact Chantal Gheysen (+329-267 86 12). This is a list of establishments who are already an ambassador of O‘de Flander.